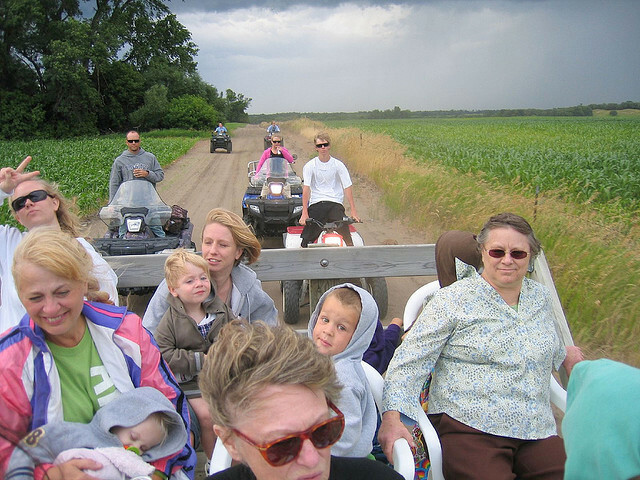 When Kristen Daum, the Fargo Forum reporter, came to Aunt Lil’s in Hickson, North Dakota last week, we didn’t know what to expect. 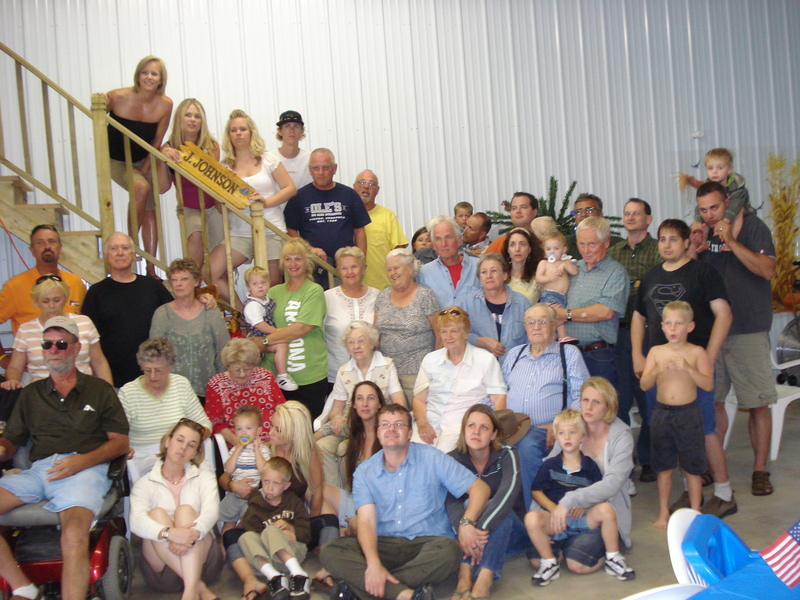 My cousins – Debbie, Ross and Curt were there, along with Aunt Lil. Kristen had surprised us by asking if she might come and interview our family for a story about the personal side of the diversion project – that massive 2 billion dollar idea to flood out communities in order to save land in Fargo/Moorhead. We accepted. 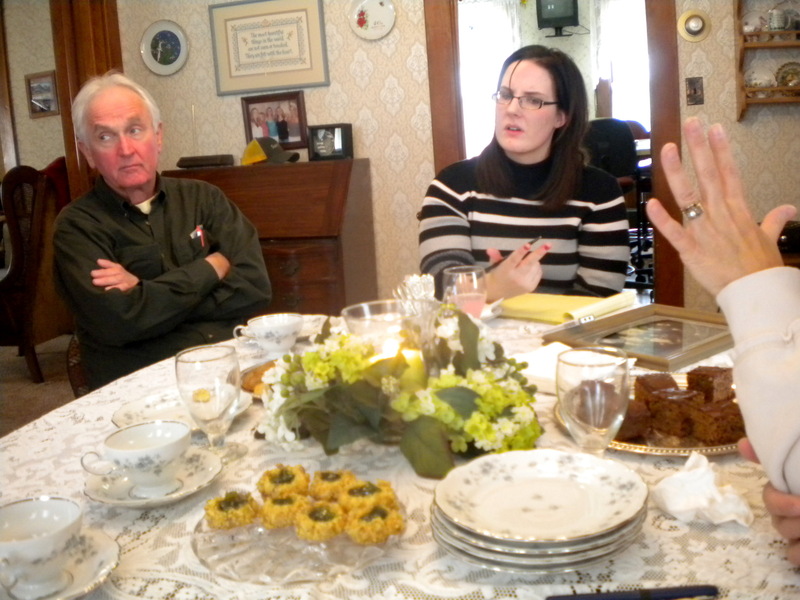 She spent almost two hours sitting around Aunt Lil’s dining table, letting us share our thoughts and concerns. And when she left she said that the plan was to gather as much personal information from families as possible in the next few months and then write a feature story for the Fargo Forum. Good. A new direction. Far more than we had hoped. But then she called back and said her editors would like to run just our story on Sunday. Wow. Even better. Sunday brought not just a story, but a FRONT PAGE FEATURE. A BIG FEATURE. 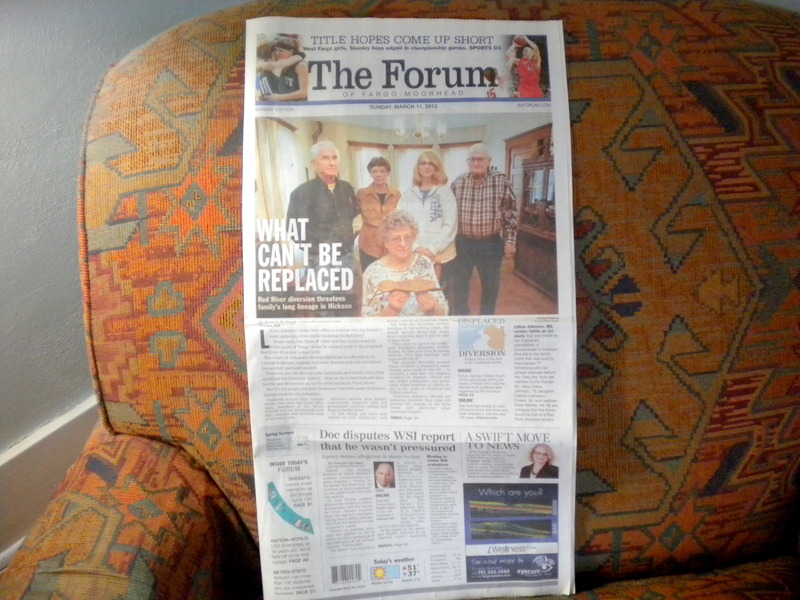 Consequently, it was something of a surprise to have the Forum decide to focus upon the personal family story and give us such a prominent feature. And, more importantly, to commit to other local narratives in the future. 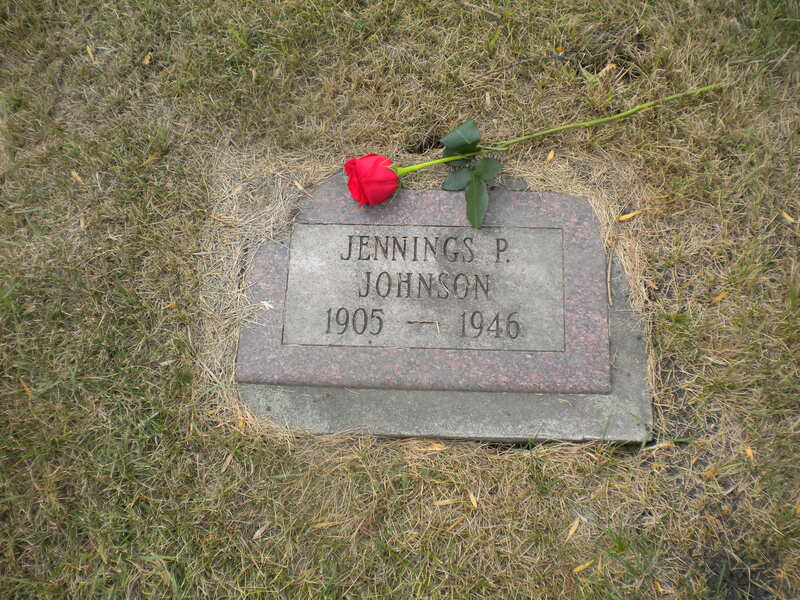 This Johnson story, after all, sprang from my father’s heritage on the North Dakota banks of the Red River Valley. 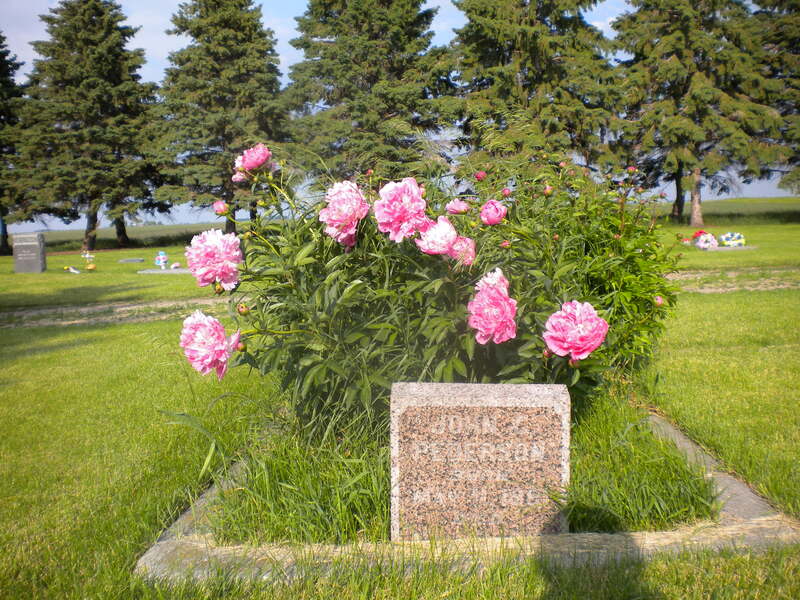 Just across the dividing line, on the Minnesota side, sits the log cabin where my Grandma Marie first lived and the cemeteries holding her parents, Jens and Kirsten Jonson and her husband, Grandpa Johan with the peonies upon the grave. So many stories to tell. We’re hoping that our little pebble will bring about lots of big ripples. 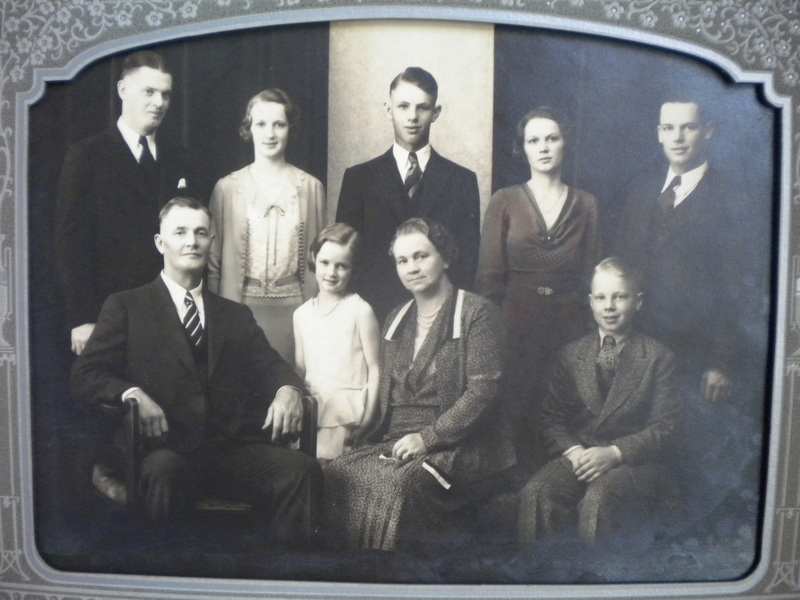 “RED RIVER DIVERSION THREATENS FAMILY’S LONG LINEAGE IN HICKSON. 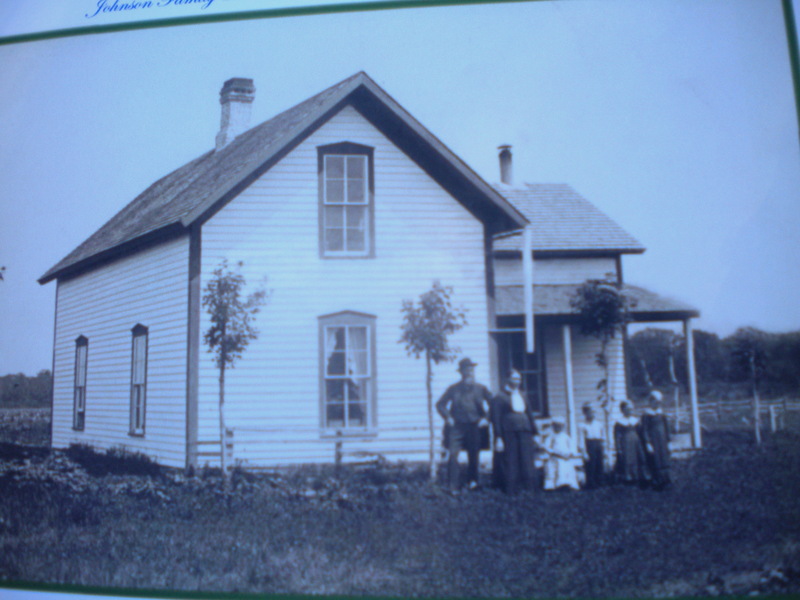 Lillian Johnson’s home here offers a window into the family’s roots spanning three centuries along the Red River: Those roots, like those of other families in this town 15 miles south of Fargo, would be washed away if the proposed Red River diversion is ever built. The origin of Johnson’s 105-year-old house is reflected in it’s vintage wallpaper; exposed hot-water heaters and rich woodwork lining every door and window. 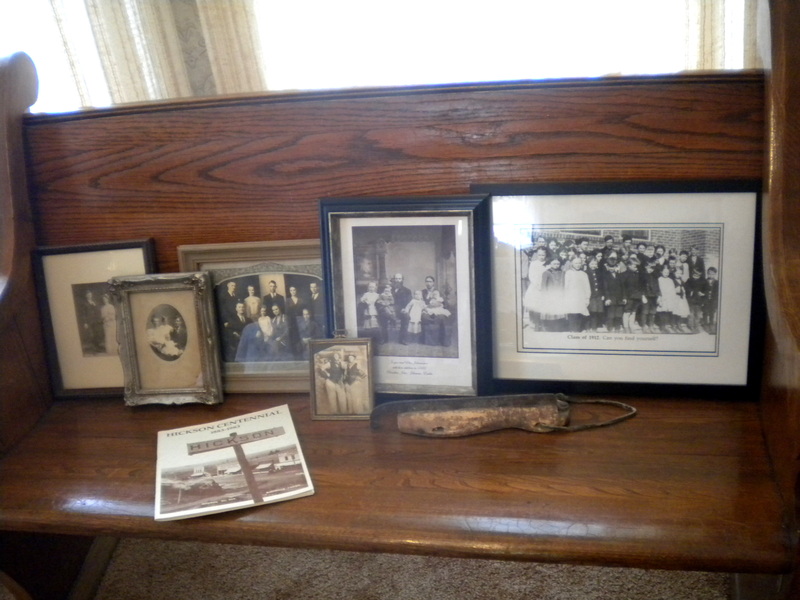 There are old photographs, heirlooms and family relics that showcase the Johnson’s history – first on the homestead and then, for the past 60 years or so, in the white house on Third Street. 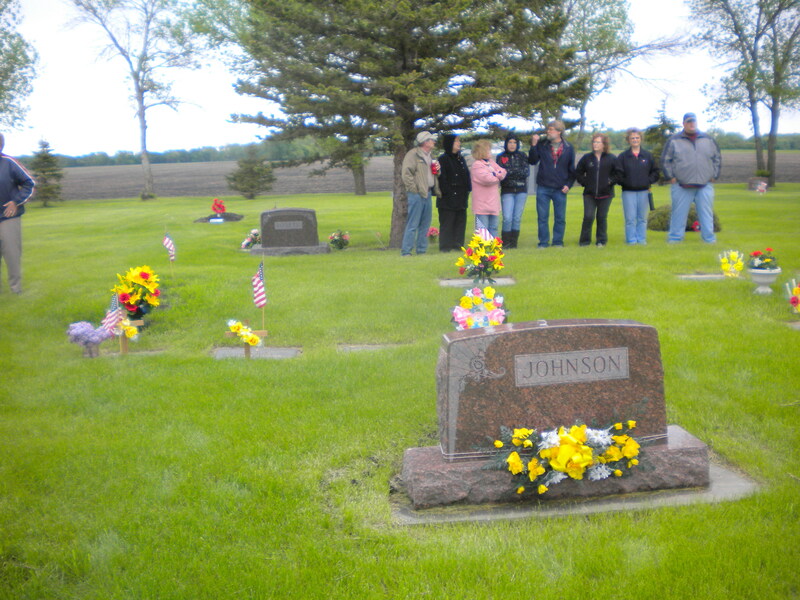 But it’s the people and their memories that have made Hickson a lasting home for the Johnsons. 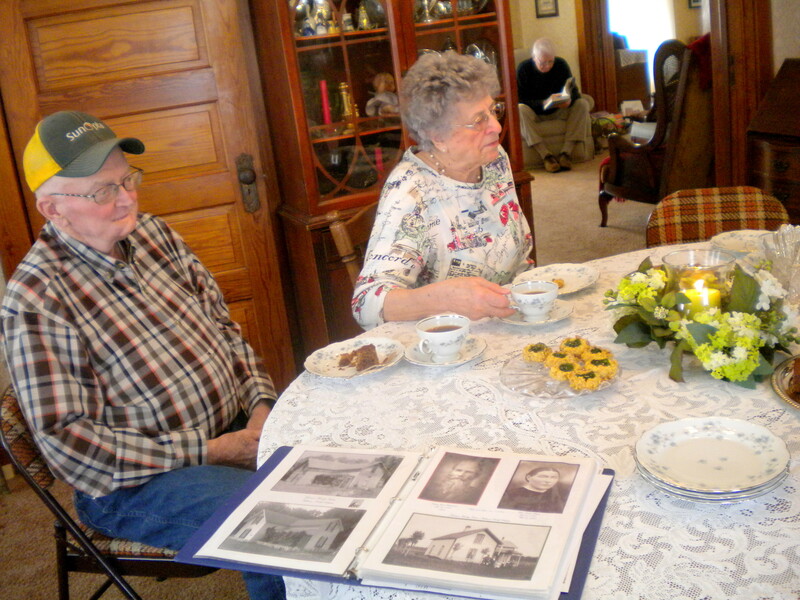 Gathered around their antique dining room table one recent afternoon, members of the family recalled with joy the countless holidays, reunions and vacations spent at the family nest. Johnson’s nephew, Ross Rehder, remembered summers with his grandfather catching catfish and frogs in the Red River. 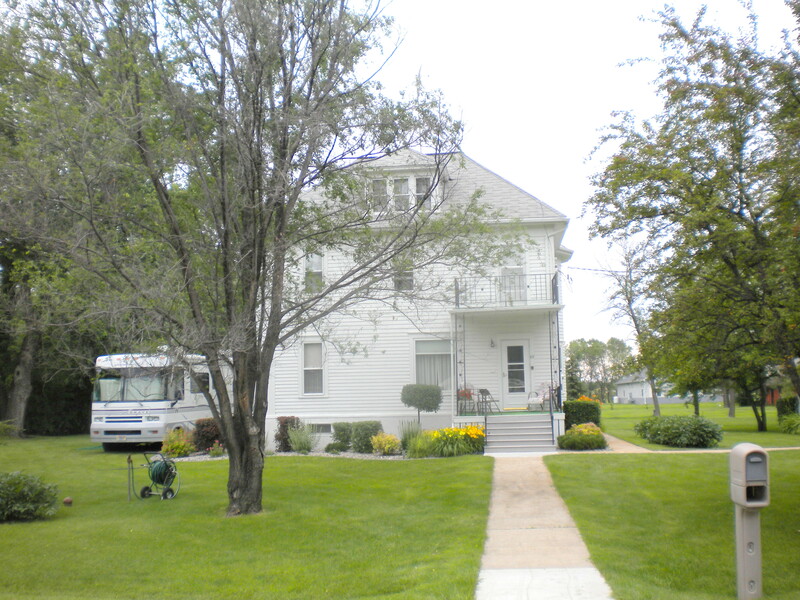 “It was things you don’t ever replace in your childhood, “ said Rehder; now 69, of Comstock, Minn. The planned diversion around Fargo includes a temporary water storage area south of the city – in actuality, a dam that will displace residents in Hickson, Oxbow and the Bakke subdivision and potentially hundreds of others living as for south as Richland and Wilkin counties. Diversion Authority officials are pursuing solutions they hope will prevent full buyouts of the three towns and minimize other upstream impacts. But for now, affected residents, like the Johnsons, can only plan for the worst-case scenario: A future where their heritage will drown at the expense of flood protection for the Fargo-Moorhead metro area. 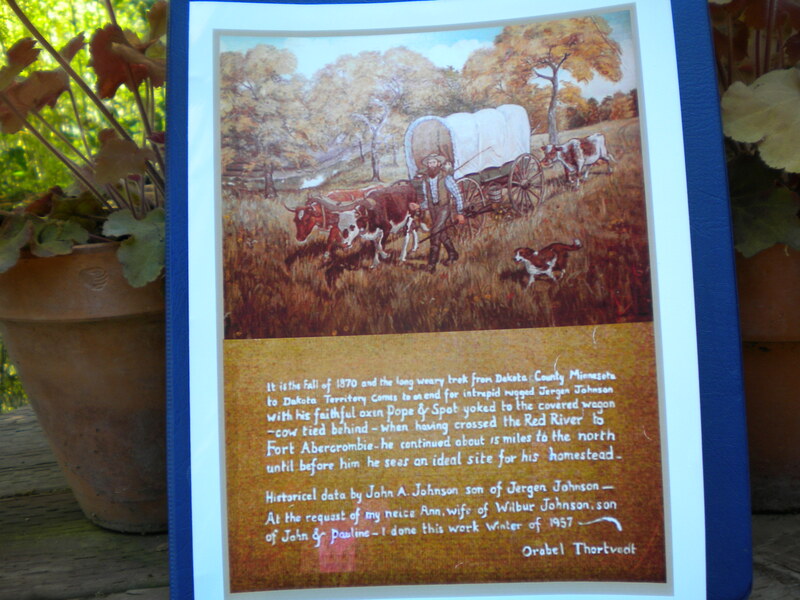 In 1870 Jorgan Jacob Johannesen left Norway and immigrated to the Dakota Territory with only a few belongings, a wagon, a cow and two oxen, named Pope and Spot. 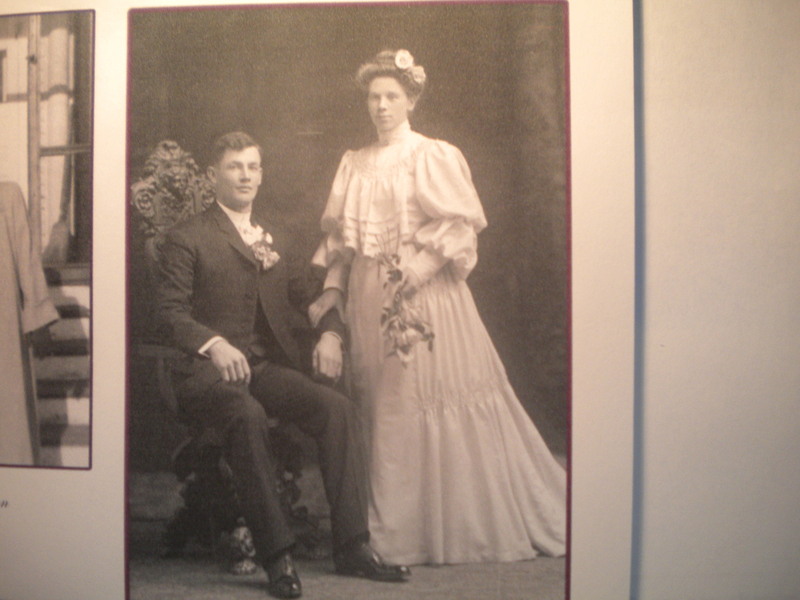 Johannesen married his neighbor’s daughter, Elen Arent, a match that sparked more than four generations of lineage in Hickson. Although the homestead is now long gone, the site still unites the 12 living great-grandchildren of Jorgan and Elen. As the Johnsons and other local families deal with the emotional turmoil of planning for the proposed diversion, the possibility remains that the project might not even happen. Despite government leader’s best efforts to continue advancing the project, numerous obstacles could very well delay or halt it indefinitely: a lack of funding, congressional red tape, environmental concerns, lawsuits from passionate opponents and more. 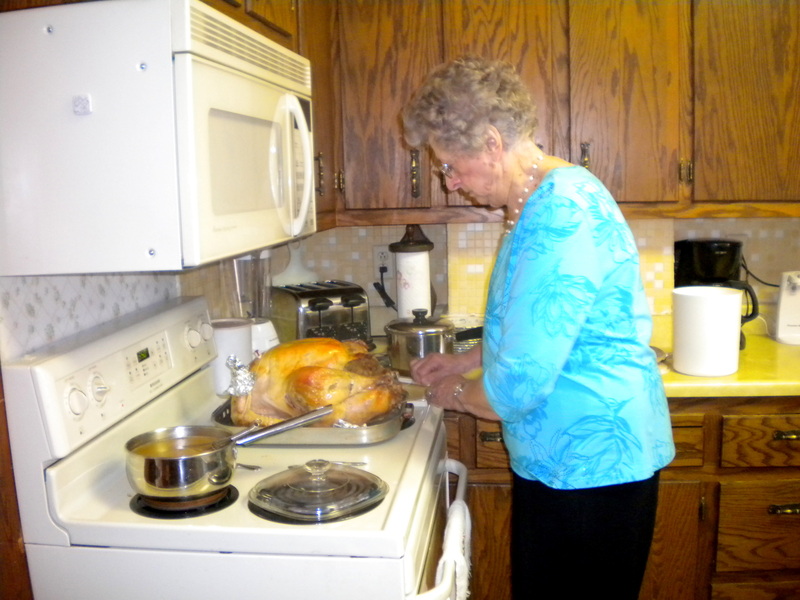 This entry was posted in COMMUNITY, faith, Family, favorite things, Immigration, In Memorium, minnesota life. Bookmark the permalink.